An action-adventure game featuring the superheroes from Marvel comic books. The title was created by Traveller’s Tales Studio, experts at LEGO video games (e.g. LEGO The Lord of the Rings, LEGO Pirates of the Caribbean, LEGO Harry Potter). 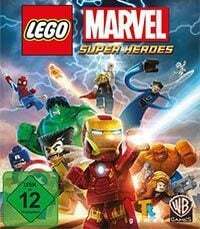 LEGO Marvel Super Heroes is the next installment of the extremely popular action-adventure family game series, set in the world built of LEGO bricks. The game was based on a commercially available Marvel Super Heroes toy set line and allows to play as the most popular superheroes, such as Captain America, Thor, Hulk, and Spider-Man. The game was developed by a UK studio Traveller's Tales, whose team has been developing games from the series for years now. The story, prepared specifically for the game, begins when Nick Fury from S.H.I.E.L.D. agency asks the best superheroes to team up in order to save the world from all sorts of threats. During the campaign, which is divided into several parts, the brave heroes battle against planet-devouring powerful Galactus or treacherous Loki. Traditionally, the script is full of humor and gags understandable to all players, regardless of their age. Moreover, the authors put in a number of references to the events and characters from the long story of the Marvel comics universe. During the adventure you visit many locations across the city of New York, and even travel beyond Earth. As far as the gameplay model is concerned, the game has no major changes to it as compared to the previous installments, because the series has found its golden formula long ago, which now, along with its consecutive editions only gets improved and extended. The player takes control over a selected hero and traverses various levels, while defeating enemies encountered along the way, solving puzzles prepared by the developers, and finding all sorts of hidden items. During the game you can unlock more than one hundred different characters, including many villains and superheroes. Each of them has their own set of skills corresponding to the comic books. Once more, you can drive various vehicles, which makes the game even more diversified. It is worth noting that the players are not limited to single player. Traditionally the developers prepared the co-op mode for two players in split screen.